IRA stands for Individual Retirement Account. This is a type of savings account with big tax breaks designed to help people save extra money towards their retirement. A Gold IRA however, is a bit different. Instead of money, a Gold IRA allows the account user to store precious metals. Saving up for retirement is important, especially if you do not currently have an employer-sponsored 401k program or know an investment banker to help you out. IRAs of all kinds are an excellent option for individuals who want to save money for the future. Gold IRAs in particular can be extremely beneficial. Below, we have listed the top six benefits of opening your own precious metals IRA. One of the most appealing factors of a Gold IRA is diversification. A diverse investment portfolio provides you with protection from a declining market. 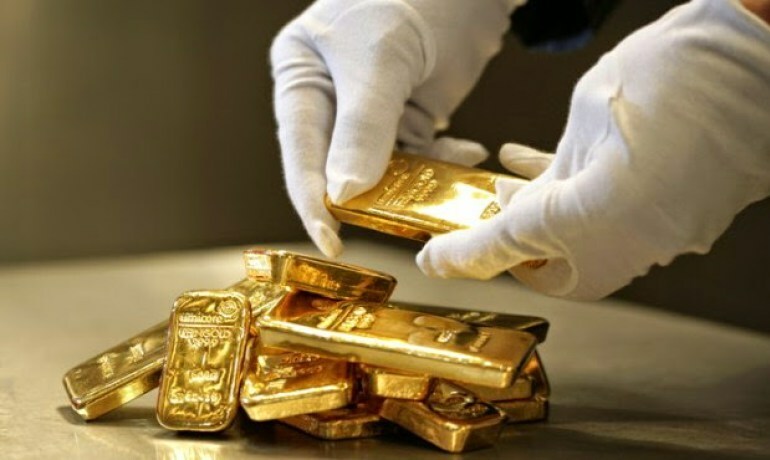 Investing in precious metals especially helps because the value of gold tends to go up when the value of the dollar goes down, meaning that your assets are protected in the event of an economic crisis. Many people buy gold as a hedge against inflation. Another benefit of gold IRAs is that these holdings require special expertise in order to set a value. This can certainly be seen as a drawback. However, this unique characteristic of gold actually makes it a less risky investment. Important market players can influence and impact stock prices in their favor at their own whims, like Visium Asset Management. This is not the case with gold. Gold can certainly be volatile. However, it is far more comforting to have a third party expert involved in gold valuation. This means they do not have their own personal motives involved in the evaluation. You do not need an investment management company to tell you that gold and silver historically have an excellent economic track record. While the value of the dollar, stocks and bonds is solely based on society’s confidence in the economic market, gold and other precious metals always maintain some sort of value. Owning these physical assets can provide you with greater financial stability because you will have something of value that is safeguarded against the declining dollar. Another benefit of a Gold IRA is that the return on investment for this type of account. In many cases, the returns on these assets grow in value at faster rates than for paper money, stocks or mutual funds. If you are looking for an exceptional return on investment, a Gold IRA may be worth the risk. Although a Gold IRA operates slightly differently from the traditional IRA, it still maintains many of the same benefits. This means you will have no need to learn how to invest in stock markets. Specifically, tax breaks offer a promising advantage for gold owners without having to play the market. With this retirement account you can accumulate wealth without paying any taxes. Only when you are ready to withdraw and use your funds will you need to pay. Gold and silver are not always effected by the same forces as the stock market. As finite resources, these precious metals have a significant value and demand in society. This means that there is an even greater potential for growth than with paper money. Gold IRAs also provide users with a lower risk option for investment. Unlike the stock market, which features a significant counter-party risk, Gold IRAs are a private investment that involves no excessive risk. This is also a safer investment option than something like turn key real estate. The less risk there is for an investment, the better it is for the investor. A Gold IRA is a great option for dedicated investors to keep in mind. There are many benefits to this type of retirement account. If you are looking to save up for your future, a Gold IRA may be something to consider. Refer back to this post the next time you are considering investing in precious metals, so that you can remind yourself of the many potential economic advantages.